Pinnacle Wildlife and Pest Control is family owned and operated locally in Westchester and the New York City area. Pinnacle Wildlife and Pest Control specializes in the highest quality customer care, offering emergency pest control, same day services and free estimates. Pinnacle Wildlife and Pest Control provides complete pest control management. The Pinnacle Wildlife and Pest Control inspector will outline what needs to be done to treat your rodent control problem. Pinnacle Wildlife and Pest Control will help you protect your home or business from future infestations with pest control management recommendations. Pinnacle Wildlife and Pest Control cares about the safety of your home or business and the environment. By using eco-friendly solutions your environment is safe children, pets and staff. The Pinnacle Wildlife and Pest Control also performs humane nuisance wildlife removal according to NYSPCA standards. The professional staff at Pinnacle Wildlife and Pest Control has decades of experience removing pests and pesky critters. 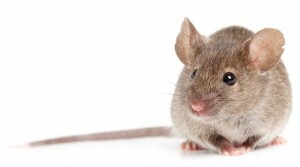 Pinnacle Wildlife and Pest Control is your Westchester, Rockland, Putnam Counties in New York Pest Control professionals for removal of rats and mice. Pinnacle Wildlife and Pest Control inspectors are well trained and care about the safety of your home, business and the environment. Your home is a significant investment, make sure your property is safe for your family and pest free. Regular pest control inspections can protect your assets.